"I don't know who he is. 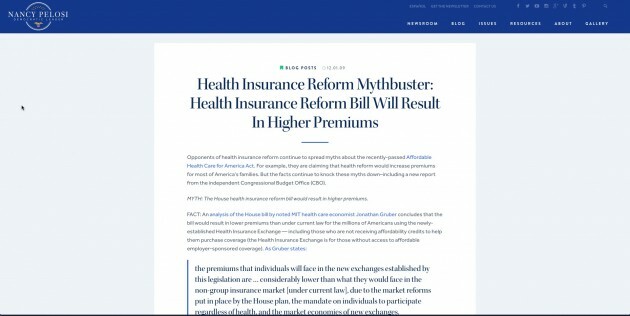 He didn't help write our bill," Nancy Pelosi (D., Calif.) said at her weekly briefing. The 74-year-old Democratic leader was referring to Obamacare architect and accidental truth-teller Jonathan Gruber. The septuagenarian's statement is in direct contrast to video of her citing Gruber by name in November of 2009 during the debate over the law. The grandmother of eight also cites Gruber on her website. 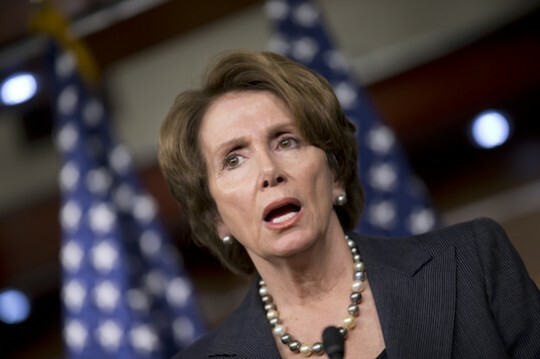 Some have labeled the discrepancy between Pelosi's statements and the evidence a lie but others have attributed it to the natural aging process. The controversy comes on the heels of reporters questioning Pelosi, who has been in Congress for 27 years, about whether or not she'd consider stepping aside from her leadership position due to her advanced age. This entry was posted in Politics and tagged Jonathan Gruber, Nancy Pelosi. Bookmark the permalink.